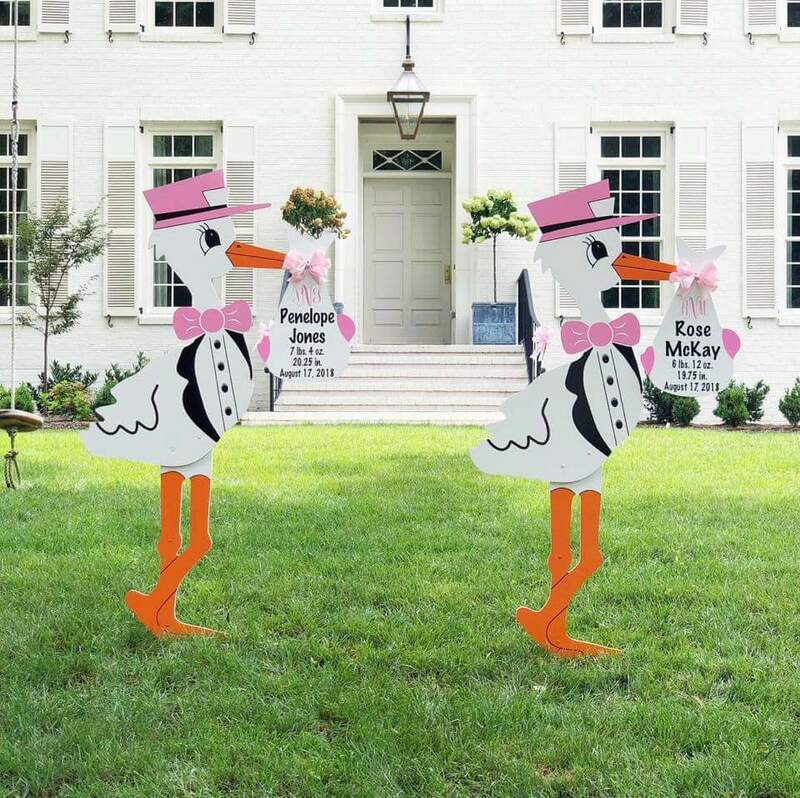 Apex, NC Storks ~ It’s Twin Girls! Sandhills Baby and Birthday Signs is the Fayetteville area’s premier stork sign rental service! We also proudly deliver baby shower signs, birthday signs, graduation signs, flamingo signs and more all throughout the Sandhills. Call us at 910-723-4784 to have signs delivered in Fayetteville, Spring Lake, Sanford, Southern Pines, Raeford, Parkton, Cameron, Carthage, Pinehurst and all nearby towns. Visit us on Facebook, Instagram, and Pinterest!